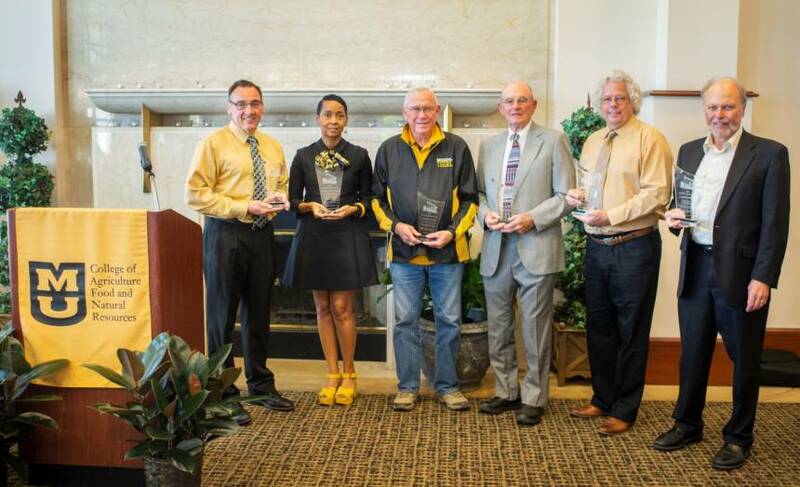 CAFNR recently honored its inaugural class of recipients of the CAFNR Column Award for Distinguished Alumni. This is the only award specifically for alumni presented by the College of Agriculture, Food and Natural Resources. The awardees include one graduate from each of CAFNR’s six divisions, reflecting the six historic columns at the University of Missouri. From left to right: Ed Anderson, Wamwari Waichungo, Everett Forkner, Bob Thompson, Dan Dey and Jerry Hazelbauer, who accepted on behalf of Lowell Miller. Everett is the owner of Forkner Family Farms, Inc., which consists of 2,000 acres of crops, a swine genetics company, a premium pork marketing branch and a purebred cattle operation. He has received numerous local, state and national awards in agriculture as well as being named in 2015 as one of the “50 Missourians You Should Know” by Ingram’s Business Magazine. He was named Missouri Livestock Person of the Year by MU Block and Bridle Club in 1969, only eight years after graduation, and again in 2015. He has served on numerous boards and chaired many committees on a local and national level, including serving as president of the National Pork Board. Everett is a successful businessman and is looked upon as a leader in the agriculture industry. He has marketed swine breeding stock to 48 states and 25 countries and pioneered swine performance testing. Everett has served as a CAFNR Executive-in-Residence. He provided founder animals for Mizzou’s National Institutes of Health Swine Resource and Research Center. “He is a pioneer in his field, an irreplaceable asset to the industry,” said Bill Lamberson, director of the Division of Animal Sciences, in his nomination letter. “At the local level, Forkner has served as president of the Vernon County Livestock Association as well as providing training, teaching and leadership development to youth through livestock judging workouts for local, junior college and senior college teams. He also is a charter member and president of the ‘The Purple Ribbon Club’ that supports young people in the Missouri State Fair Sale of Champions. “…In the early 1960s, he loaded a group of hogs and took them to campus (not a trivial endeavor) and became the first person in Missouri to use ultrasound data for genetic improvement of swine. He continued being an innovator in Mizzou’s central boar test stations and subsequently the on-farm testing program,” said Tim Safranski, professor and state swine breeding specialist, in his nomination letter. “His ability to both teach and learn simultaneously, and to do so with producers both larger and smaller than he is are nothing short of remarkable. “Everett remains one of the most inspiring figures in the North American swine industry…His ability to lead by example, to inspire by action and to respect opinions of all have led to Everett Forkner being a legendary leader in the U.S. swine industry,” Safranski said. Robert “Bob” Thompson had a 37-year career in local banking, including 25 years as the president and CEO of the U.S. Bank in Rolla, Missouri, retiring in 2001. Since retiring he has served as CFO of Missouri Enterprise, a not-for-profit helping Missouri businesses succeed, and on the board of directors for the Central Federal Savings and Loan in Rolla. He has served as president of the Missouri State Fair Foundation. Bob is a third-generation Missouri farmer. He and his wife, Gretchen, run Glengrove Farm outside of Rolla – a Century Farm. They inherited his parents’ award-winning Jersey dairy and poultry operation in 1973, and have since built it into a nationally recognized breeding program for Hereford cattle. Thompsons’ parents joined MU Extension’s Balanced Farming program in 1942 and were early adopters of artificial insemination to improve their herd. They passed their appreciation for MU and Extension on to their son. Bob began performance testing through Extension in 1975 to ensure the quality of their bulls, and continues to use MU testing services to maintain the strength of their herd. He is also co-owner of Agventure, Inc. and Pietsch and Thompson, LLC, a row-cropping operation in Princeton, Missouri. Glengrove Farm received the Missouri Hereford Association Purebred Breeder of the Year award in 2012; the same year, Bob was recognized with the Governor’s Award for Agricultural Achievement. He is past president and a Hall of Fame inductee of the Missouri Hereford Association. “Mr. Thompson exemplifies a CAFNR alumnus whose contributions to his industry are a testament to the education he received at MU, and whose service to Missouri benefits people across the state,” said Joe Parcell, director of the Division of Applied Social Sciences, in his nomination letter. “Throughout his career he stayed connected to his alma mater, working with faculty and staff in the Agricultural Economics department (later Agricultural and Applied Economics, now the Division of Applied Social Sciences), serving on the Agricultural and Applied Economics advisory board, and on MU’s Ag Alumni Association board of directors. In retirement he continues to give back to CAFNR as a board member of the CAFNR Foundation as well as serving on CAFNR’s committee for the ‘Mizzou: Our Time to Lead’ fundraising campaign. “Bob is passionate about the future of farming in Missouri. He and Gretchen donate their time, money and even use of their pastures to youth programs such as the National Junior Hereford Association, the Hereford Youth Foundation, 4-H and the Future Farmers of America. Bob and Gretchen have provided generously for CAFNR student research scholarships, believing that youth who are involved in value-added agriculture programs have a leg up when they go out into the real world. “Bob Thompson is an alumnus of whom CAFNR can be proud, making the best use of his agricultural education to benefit his community, contribute to his industry and invest in the future of farming in Missouri,” Parcell said. Lowell retired as senior vice president of Marion Laboratories, now Aventis Pharmaceuticals, where he was in charge of research, development and process development functions, new product opportunities and management of clinical trials and regulatory affairs. He also served as Marion’s chief scientist. He led a team of scientists and support staff responsible for the development of many significant drugs used in various human therapies. In retirement, Lowell served as a consultant for San Diego, California-based Maxim Pharmaceuticals, a biotechnology firm specializing in oncology and wound healing products. 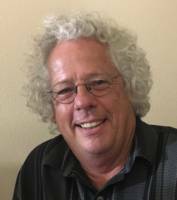 He has also served on the Board of Directors of Air Methods Corporation, a rapidly growing medical helicopter service and design company headquartered in Colorado. Lowell has received the Citation of Merit award from the CAFNR Alumni Association and the College’s Mumford Award for Distinguished Service. He served as CAFNR co-chair of the “For All We Call Mizzou” campaign steering committee and is the CAFNR representative on MU’s National Campaign Cabinet. Lowell is endowing a faculty chair in Biochemistry and has served as an Executive-in-Residence in CAFNR. Lowell and his late wife, Marian, provided funds to create and endow the Life Sciences Discovery Garden at the Bond Life Sciences Center and scholarship funds in Biochemistry and the College of Human Environmental Sciences (of which Marian was an alumna). They have two tribute benches on campus, one near HES and one near the Ag Building. In addition, Lowell established an endowment in Marian’s memory to support and name the Marian Couranz Miller Teaching Kitchen, an important part of the MU Nutritional Center for Health (MUNCH). He has received the MU Faculty-Alumni Award, the top honor from the Mizzou Alumni Association. He has served on MU’s Development Council and on the search committee for Mizzou’s Vice Chancellor of Development and Alumni Relations. “Dr. Miller is an outstanding awardee because of his successful career in science and business, and his leadership in developing successful drugs and treatments that have benefitted many people, but most importantly because of his sustained financial generosity to the University of Missouri, the College of Agriculture, Food and Natural Resources and our Division/Department of Biochemistry,” said Jerry Hazelbauer, professor emeritus and former division director of Biochemistry, in his nomination letter. “Few alumni articulate as impressively as Dr. Miller the degree to which they value their MU education and their gratitude for receiving it through word and actions. 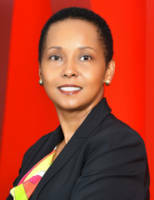 Wamwari is Coca-Cola’s vice president for global scientific and regulatory affairs. She leads Coca-Cola’s efforts to evaluate and substantiate the safety and efficacy of ingredients, products and packaging. In addition, her team is responsible for ensuring the regulatory compliance of all ingredients, products and packaging. She joined Coca-Cola in 2000 as a strategic marketing manager. Wamwari held various executive roles with expanding responsibilities in different regions of Africa and became part of the corporate executive team in 2014. Prior to joining Coca-Cola, she held product and consumer research roles at ConAgra Foods and the Campbell Soup Company. “In 2015, we invited Dr. Waichungo back as CAFNR’s Executive-in-Residence. During her visit, she spoke to classes, student organizations and individual students; encouraging them to dream big and take full advantage of the learning opportunities at Mizzou,” said Jinglu Tan, director of the Division of Food Systems and Bioengineering, in his nomination letter. “She was the commencement speaker at our May 2016 graduation. She spoke about her life and career experiences, from growing up in Kenya with modest means to becoming a senior executive in an iconic global company. Her talk, owning her journey to success, was one of the most inspirational commencement speeches I have heard. “Dr. Waichungo has become a fervent supporter not only of our program but of our entire college,” said Ingolf Gruen, associate professor of food science, in his nomination letter. 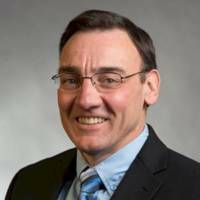 Ed is the senior director of research for the Iowa Soybean Association and the Executive Director of the North Central Soybean Research Program. He is responsible for the development and management of a research portfolio for the Iowa Soybean Association and the 12-state North Central Soybean Research Program; he shapes the research priorities for soybean in the Midwest United States. Ed has been in this position since 2013. Ed spent the first portion of his career as a plant virologist in academia before also working in industry. He was a member of the research team at Washington University that developed and field tested the first transgenic virus-resistant crop plants. As a graduate student at the University of Missouri, Ed made key discoveries toward understanding which virus genes encode proteins responsible for causing disease symptoms in susceptible hosts, and conversely, which virus proteins are responsible for triggering host defenses, as well as how the environment influences the virus infection. As a postdoctoral associate at the University of Florida, Ed contributed to the characterization of the genome of citrus tristeza virus, a devastating pathogen of citrus worldwide. As an assistant professor at the University of Arkansas, Ed developed a molecular virology research program responsive to the needs of farmers in that state. In 1997, Ed accepted a job with Pioneer Hi-Bred Intl., a company that was later merged with Dupont. He was initially responsible for the development of automation of laboratory and greenhouse projects as well as informatics projects. He eventually became a senior strategy manager of the Disease and Output Traits/Enterprise Trait Strategy Team at DuPont Pioneer. In 2009 he was a co-recipient of DuPont’s Engineering Excellence Award for Laser Assisted Seed Selection Technology. “Ed has excelled in a career that has been divided between academia and industry,” said Jim Schoelz, professor of plant sciences, in his nomination letter. “Throughout his career he has demonstrated a commitment to solving problems associated with agriculture. Dan is the project leader and research forester for the U.S. Forest Service, Northern Research Station. He has been a leader in forest regeneration modeling since the 1990s, work that began during his doctoral program at MU. Dan is a noted national and international authority on oak regeneration, ecology and silviculture. His research contributes solutions to oak regeneration problems nationally and internationally through publications, mentoring graduate students and teaching. His research in fire history and the historic influences of human-caused fire on forest ecosystems has pioneered understanding of how dynamic forest landscapes respond to changes in fire regimes over time. He has written more than 250 publications in forestry and related literature, including articles in the top-rated forestry scientific journals, book chapters and technical guides on the ecology, management and restoration of oak forests. His research publications have been cited more than 3,200 times in other scientific literature. He is a widely sought speaker for domestic and international workshops, symposia and conferences. Dan has organized numerous conferences presenting state-of-the-art science to managers. He has served as a major professor or member on 23 M.S. and 10 Ph.D. committees in the U.S., Sweden and Colombia, and has taught undergraduate courses in forest resource inventory, remote sensing and fire ecology and management. He received the Missouri Society of American Foresters Karkhagne Award for lifetime achievement and contributions to the forestry profession, the Distinguished Scientist Award from the U.S. Forest Service and the Fellows Award from the Society of American Foresters. Dan has been featured in American Forests Magazine for career achievements. He is chair of the Missouri Society of American Foresters. “His accumulated body of research, his enthusiastic engagement with the Missouri natural resource community, and his ongoing service to the Mizzou campus community make him an exceptional candidate for this award,” said Lisa G. Allen, state forester, Missouri Department of Conservation, in her nomination letter. “He was brilliant in his studies and matched that with an unrelenting work ethic,” said Gene Garrett, professor emeritus, SNR, in his nomination letter. “He told me his goal in life was to become a Forest Service research scientist and conduct research that would lead to improved management of our national forests. After years of conducting forest management, he felt more science was required if our forests were to achieve their stated goals. “Dan has been a tremendous collaborator over the years. The faculty, staff and students of the School of Natural Resources have benefited from his immense wisdom and the great partnerships we have built in research, teaching and outreach with Dan and his team,” said Shibu Jose, director of the School of Natural Resources. See more photos from the event on our Flickr site.